Street food in many communities is the shoe leather, browbeaten pride of its citizens’ culinary and cultural makeup. At its best it is humble, utilitarian, authentic and often one of the easiest and most affordable ways to get a true taste of place. At its worst, it is contrived, contrary and out of touch with its roots. 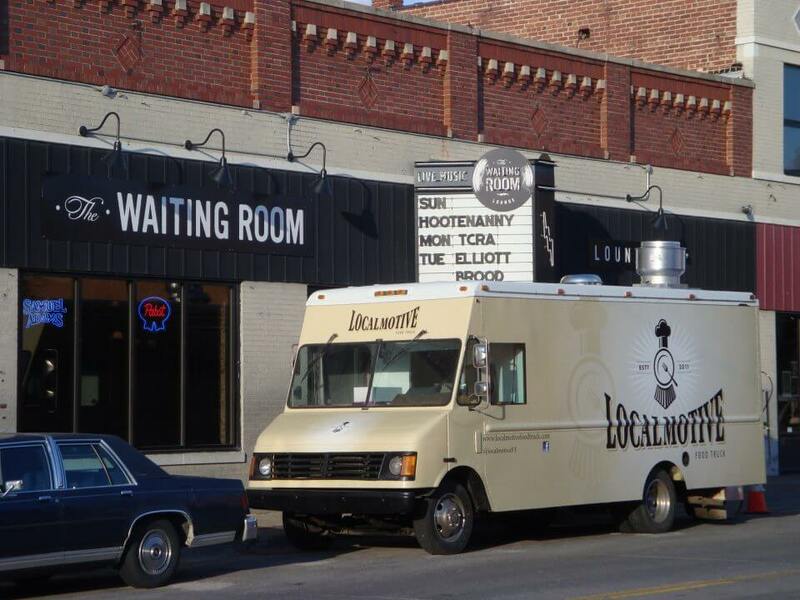 Only five weeks into its existence it looks as though Localmotive Food Truck is on its way to representing Omaha’s cuisine culture while building its street food credentials. The menu is succinct with variations of four basic items – rounders (a stuffed dumpling), sandwiches, bowls and street frites (fries). Prices are within reason ranging from $3 for frites to $7 for sandwiches. Packaging is practical given the grab and go nature of the dining experience. Rounders are parbaked then fried on site and come in a small wax-lined bag – easy to hold while walking and no need to worry about oil soaking through onto your hands. Rounders come three per order at about 4 bites a piece with a dipping sauce for $5. Reuben Rounders are a clever and tasty take on the city’s most famous sandwich and efforts to procure local food sources such as Plum Creek Farm Chicken for its top-selling sandwich are first steps in the right direction. Admittedly, with a name like Localmotive, I was expecting to see more farms identified on the menu, but during an interview David Burr, one of four co-owners, he assured me that Localmotive’s pork is sourced through T.D. Niche in Elk Creek, Neb., and Omaha-based Truebridge Foods, a distributor of Midwest pork products. Its tomatoes are from Garden Fresh Vegetables in O’Neil, Neb. Once the season picks up the majority of Localmotive’s produce and herbs will be grown in the company garden space, hydroponically onsite or procured from area producers. “We hope to heighten the awareness of street food in Omaha. The perception of street food is tacos, which we don’t sell,” said Burr who laughed about the number of people who try to order them from the truck. He along with his three partners and other food truck businesses are working to create a street food association. The truck can be found at various businesses around town during the lunch hour or in Ted and Wally’s Old Market parking lot in the evenings. On Saturday mornings during the Downtown Omaha Farmer’s Market you will find it parked near 10th and Jackson streets. Farmer’s Market shoppers would be wise to order the Egg Rounders to walk and shop with while scanning vendor booths for grocery items. The eggs taste fresh, moist and springy with a sprinkling of fresh herbs, which add brightness to the stuffed dumplings. Burr said he had wanted to “do something for a long time.” After tossing out a few ideas (including one that involved local food system distribution) he and Patrick Favara, another co-owner, landed on the food truck concept. “The start up costs were reasonable, so last September after doing our research we put some money together, raised some outside funds, found some additional partners and decided to move ahead with it,” said Burr. The idea to focus on local food is a natural fit for street food and for Burr’s personal interests.